BEIJING -- At the end of December, a popular television series chronicling China's most famous empress suddenly went on a four-day hiatus. When it returned on New Year's Day, the low-cut necklines and squeezed bosoms had vanished. Instead, the screen was filled with close-up shots showing only the heads of the female characters in the period piece, which depicts the seventh-century Tang Dynasty, an era when a woman's beauty was defined partly by plumpness. No one has claimed responsibility for the awkward cropping, but it is widely believed to be the work of the country's prudish censors. Last May, CBS News correspondent Seth Doane reported that American sitcom "The Big Bang Theory" was censored by the Chinese government. "It was not a public issue, but has become one after shameless officials wielded their powerful administrative powers," Ren Zhiqiang, a businessman who has been outspoken on social issues, wrote on his microblog. "What people are concerned about is not cleavage, but that a bunch of cultural hooligans are in charge of making approvals." 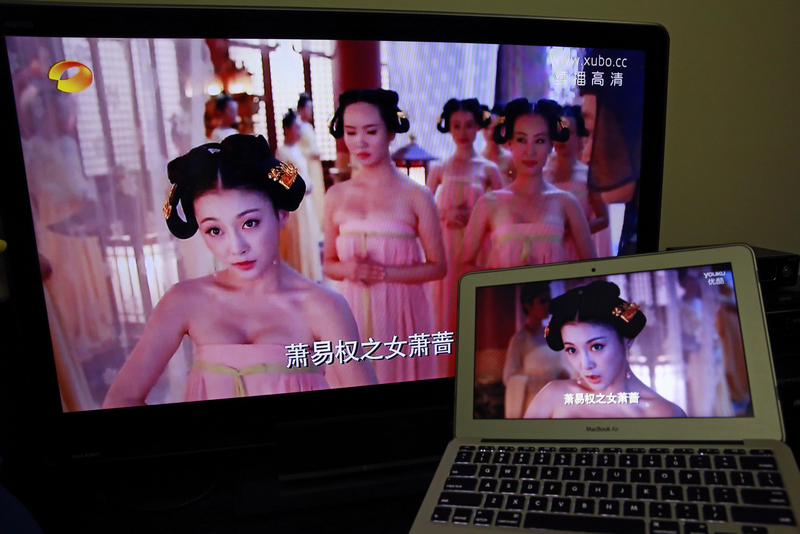 The risque necklines in "The Empress of China" were the latest images to fall under the agency's cleaver. The empress was played by Fan Bingbing, a rising star who has appeared in the 2014 Hollywood blockbuster "X-Men." "If there were ratings, then 'The Empress of China' would not need the redo," the Liaoning Daily wrote. "Now it has re-emerged with the bosoms covered up, yet the coy attitude has become an even bigger joke." The party-run Henan Daily said that while the show was now suitable for all ages, "it has lost its edge." "It's absurd that the authorities should make such a ruling when a few old cadres are upset with 'The Empress of China,'" he said. "It's time we put powers in a cage so there will be sensible decision-making and management to prevent such a farce from happening again."